Kerala is the place having lots of spots to visit and it is the place where everybody loves to visit. If you have made a plan to spend your holidays at this place then this article could be a good help for you. We are going to discuss about the few favorite spots of Kerala where you can spend your time and can make the moment memorable. We all know Kerala is the full with beauty of nature. The rivers, sea, beaches and their living standard are totally different from others. First we are going to discuss about Akkulam Tourist village. It is around 10 km away from Thiruvananthapuram city. 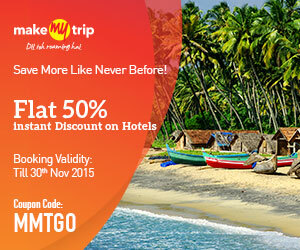 Located in South Kerala this place is famous for its backwater destinations. It is the beautiful spot for spending time. There are certain timings and it will open at morning 10:00 am and close at 07:00 pm. there you can enjoy the boating as it is the favorite spot for everybody especially for kids. There are many children parks where your kid can enjoy playing wonderful games. Adults can enjoy the swimming at this place. You can do the reservation through various websites available. You can find more details about this place on respective websites. To get this place you have to visit Thiruvananthapuram and from there you will get the public transport to reach this place. Local and charted busses are there for transport facilities. You can reach to Thiruvananthapuram through air and rail both. Those who love nature beauty should visit this place. It is again only 7 km away from Thiruvananthapuram and one of the famous spot of Kerala to visit. If you are planning to come to Kerala you should not miss this place. It is the place where you can enjoy the boating and many water sports and you can visit there between 8 am to 6 pm. the best thing about this place is it is the meeting point of lake to Arabian Sea. You can enjoy the pedal boats and boating facilities as they both are available on hire. Speed boats are also available so you can enjoy the fast ride of sea as well. Kids can enjoy climbing over huge sculptures. Visit Thiruvananthapuram central to visit this amazing spot. You can visit to Thiruvanantha puram by air and railway both. This is the dam located at 10 km distance from Palakkad town. You can enjoy dam, amusement park, boating, and rock garden and ropeway sports at this place. It is the famous spot and full of man created beauties. You can enjoy beautiful gardens at this place. Greenery everywhere is going to refresh your mood. This little town on foothills of Western Ghats is based on the name of river Malampuzha. It is the longest river of Kerala. You can also enjoy the beautiful rock garden along with Snake Park, and the ropeway. The best thing about the rock garden is the stuffs are made of wastages and damage crockery’s. Reaching this place is not much difficult. You can reach this place by train and through airline you have to get to reach Coimbatore as it is at good distance of 55 km.